Big data and security intelligence are the two hot security topics in 2012. We are collecting more and more information from both the infrastructure, but increasingly also directly from our applications. Some companies are moving away from traditional log management and SIEM tools and are deploying big data products. But what is this big data craze all about? Why is it that we have more and more data to look at? And is big data the right approach or what is missing? The presentation will take the audience on a journey through big data tools and show that analytical tools are needed to make use of these infrastructures. 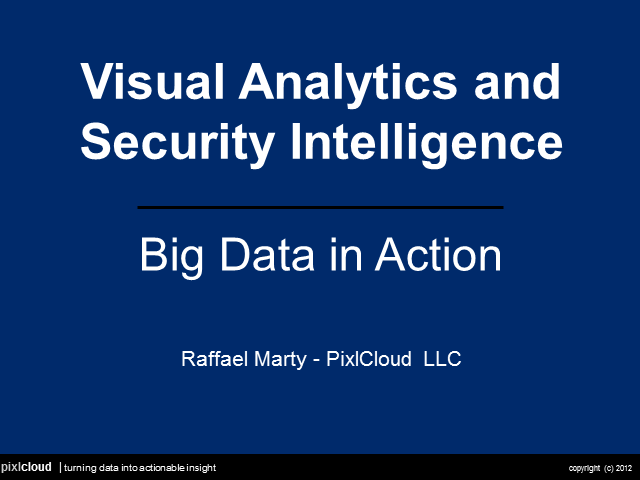 We will discuss how visualization can be used to fill in the gap in analytics to move into gaining situational awareness and building up security intelligence.